VANCOUVER — Oh, the things you could see if you went on a spree to a land full of glee, and when the curtain draws back they’re all ready to sing! You get the point. It may just be best to leave the melodical rhyming to Dr. Seuss and the latest cast of “Seussical” at Skyview High School. 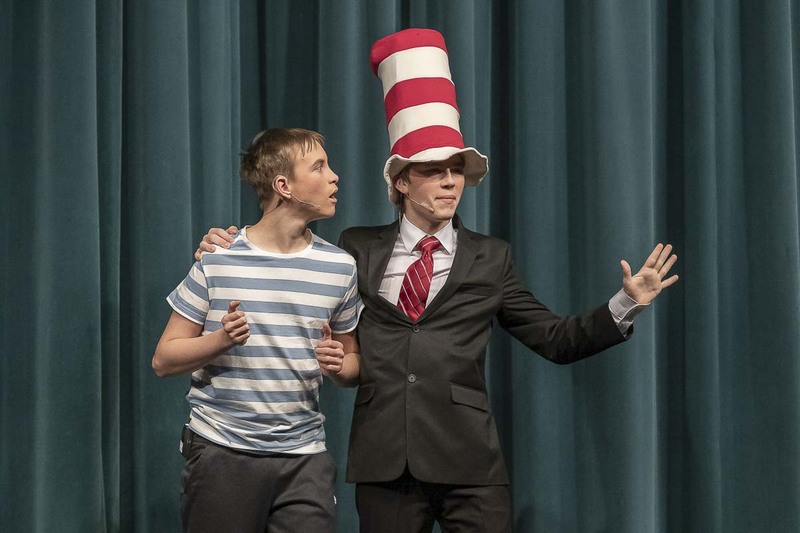 Over 70 actors, actresses, crew, and orchestra members from the school’s many arts classes will open to near sold-out crowds Thursday night; debuting for the second time the quirky mingling of Seuss stories in musical form. The musical is often a favorite of smaller production companies, like Skyview drama, due to its affordability, carefree nature and flexibility. As one student thespian put it, “Seussical” can even be performed with a minimal set of black boxes and simple costumes. Thankfully for Skyview students, they would have a little more than boxes and basic costumes. The stage-width set consists of hundreds of pounds of lumber, donated by Shur-Way Building Center. The design and aesthetics are all curated and constructed by students. The structure is arranged in a multi-level palace showing the floor of the Jungle of Nool and a sky-reaching balcony to represent the microscopic world of Whoville, which in reality resides on a speck of dust atop a clover. The production features 26 musical numbers lead by a variety of characters. “Seussical” tells the story of Jojo, a boy in Whoville, and his iconic encouraging companion, the Cat in the Hat. Down in the jungle, Horton the Elephant discovers the Whos in Whoville on a clover. When disaster ensues at the hands of many unfriendly neighbors, Horton must work with Jojo to save the Whos and all of Whoville. Directing the masterpiece is Choir Director, Philip Denton. Denton visited the land of Seuss before, but feels that every production has its own unique elements and challenges. Students in the production rehearse and memorize for weeks leading up to the show’s performances. Professional-grade costuming and lighting are used at Skyview’s massive auditorium, holding over 1,100 people. 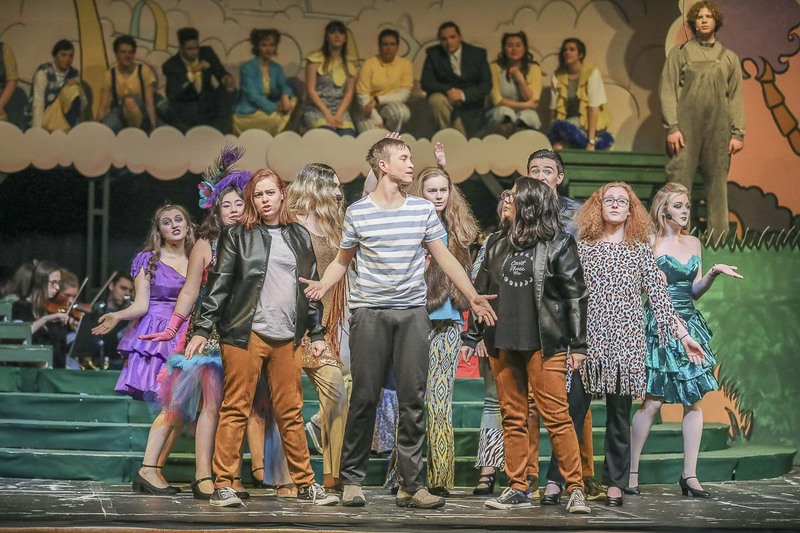 Each school year, the program hosts a fall/winter production and a spring production. Straight plays and musicals are performed at Skyview, with musicals always being the larger of the two. 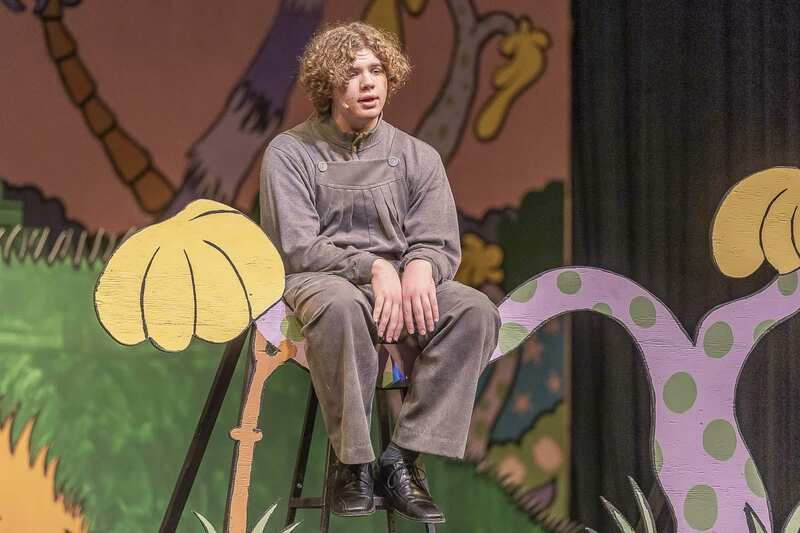 “Seussical” will have six performances from Jan. 10-12 and 17-19, each starting at 7 p.m. Tickets are going fast, but many are still available at Brown Paper Tickets.